If you watched late September baseball last year, you might remember young Wilfredo Tovar. 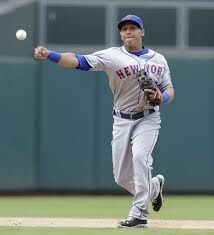 Tovar appeared in 7 games last year for the Mets, and will be playing a maximum of 6 games this year. Tovar has a short stroke, no power and very little line drive power. Tovar earns his two cents from his arm and glove. Tovar plays middle infield, but especially shortstop.